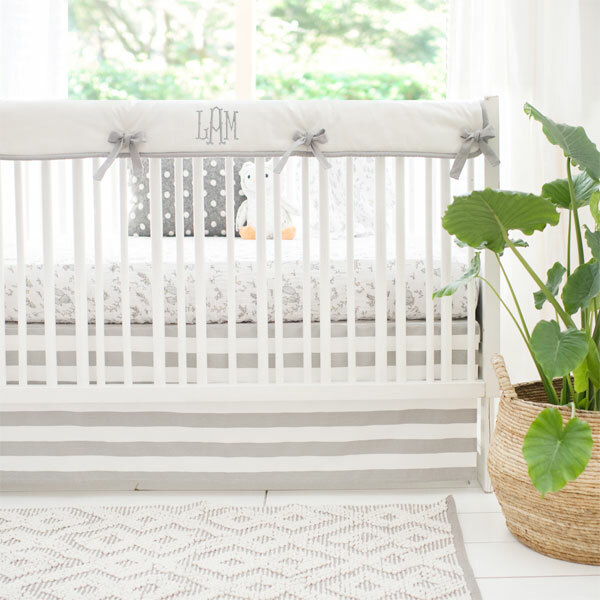 This classic gray stripe crib skirt is simple but fun! 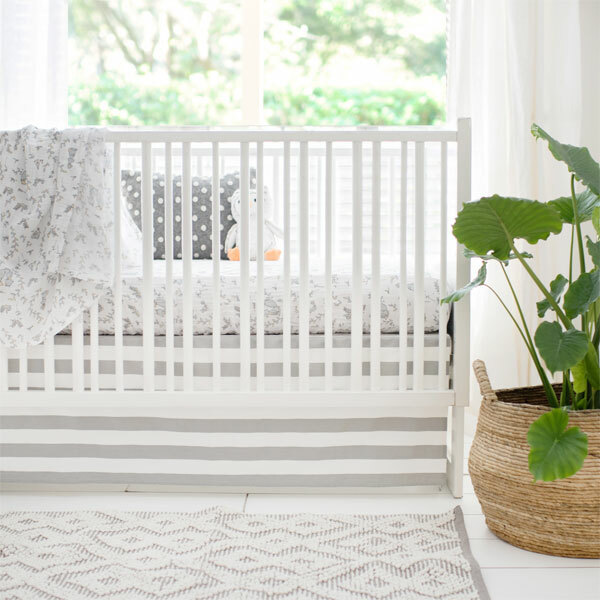 Coordinates perfectly with our Small Wonders muslin crib sheet for a play on patterns. 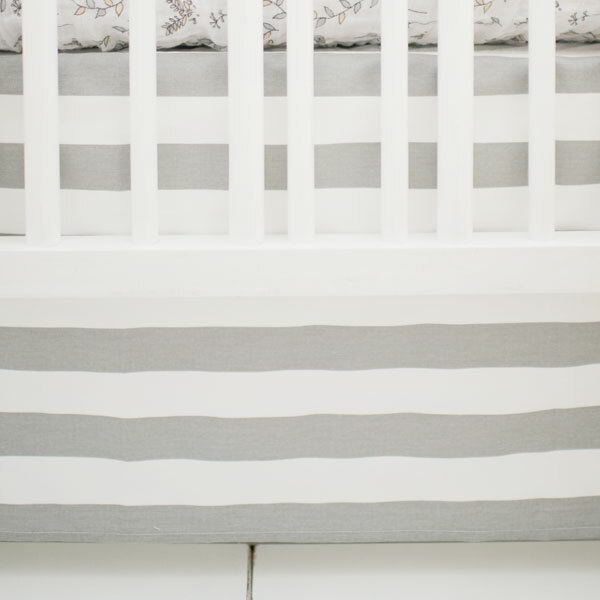 • Four sided crib skirt fits around the entire crib. 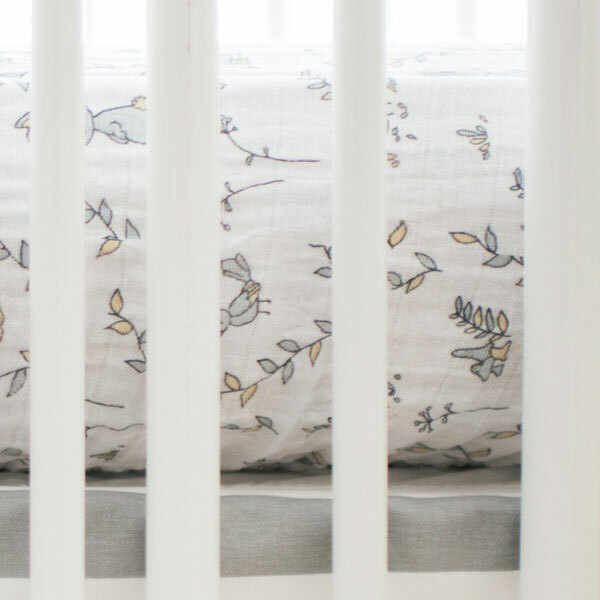 Coordinate this tailored crib skirt with our Small Wonders Baby Bedding.